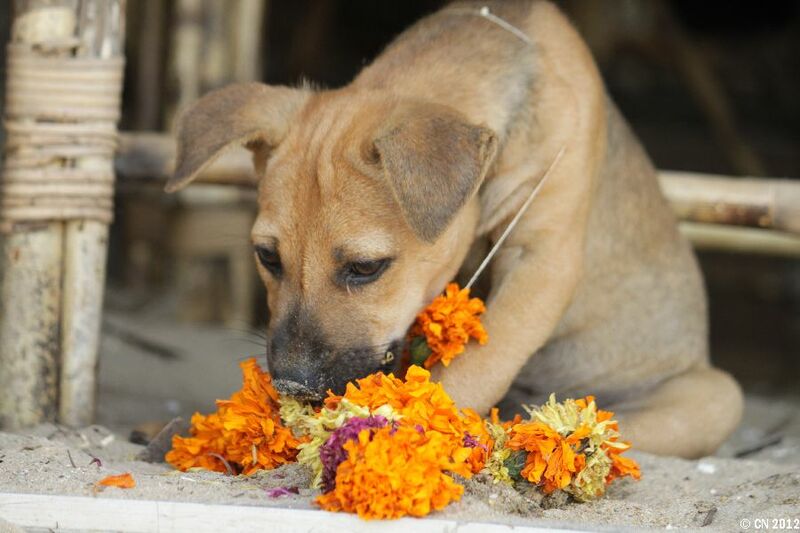 Pariah Dogs of India | Welcome to Podifee's Blog. 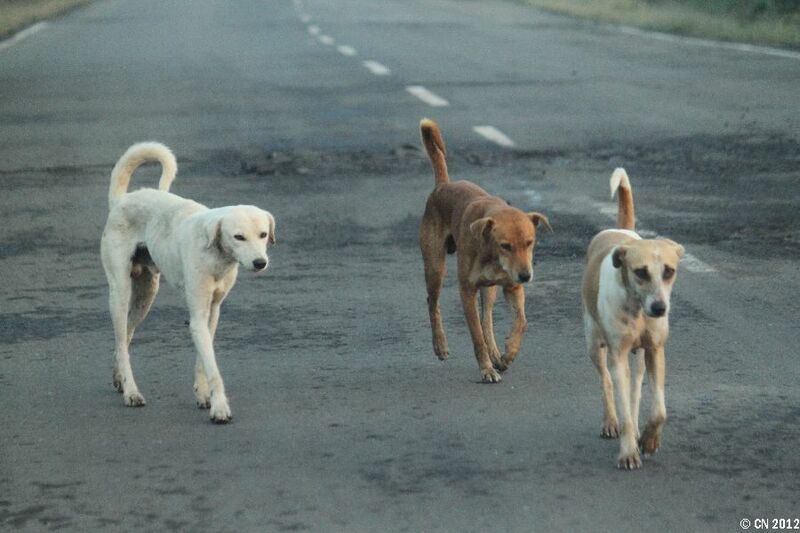 It makes me sad to think about the pariah dogs auf India. I assume, this is owed to Hinduism, the predominant religion in India that more than any other treasures life of any kind. The way the Indians live with dogs just seems so “natural”. Live and let live near its best. Not once did I witness anyone chasing a dog away, not even from shops or restaurants. Hard to imagine coming from a country where overanxious mothers start shrieking at the mere sight of you walking towards them with your leashed dog. In India, if a dog crosses the road or decides to take a nap in the middle of it, vehicles will brake or just go around it. The same, of course, applies to cows, goats, pigs and other creatures. Hard to believe, but accidents really seem to be rather rare (considering the volume of traffic). And the dogs? They are, seemingly without exception, the most pleasant, inconspicuous fellows. In a restaurant, they will beg, but not bother you at all. They will just lie down by your feet and be happy to have your leftovers. Not once did I witness any dog trying to steel food from a table or just become a nuisance. And if you feed them, you do not need to worry that they will follow you for miles – they won’t. Of course, not all is good. 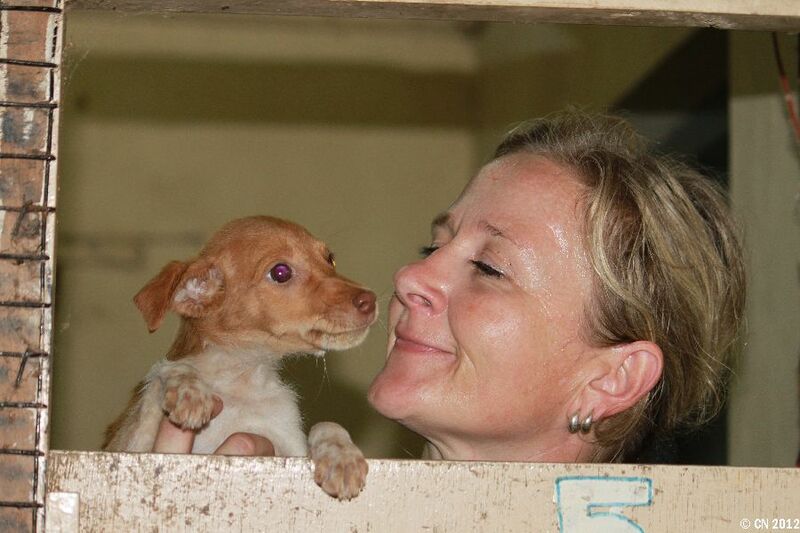 The dogs have to endure the same harsh living conditions as the majority of Indians themselves. Prophylaxis and treatment of parasites is largely non-existant, quite a few dogs have serious skin problems or old bone fractures, rabies is also an issue. 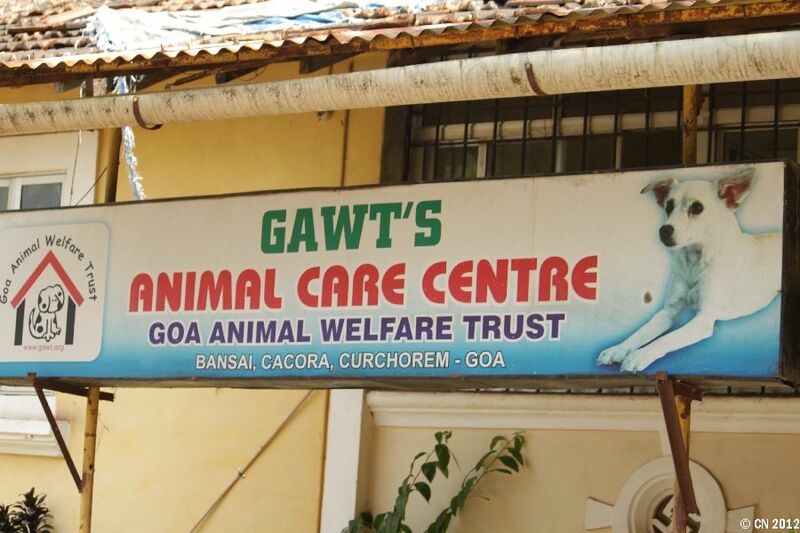 GAWT receives some government funding, but most of their work depends on private donations and especially revenues generated by their charity shops, animal hospital and boarding kennel. GAWT is doing a great job und well worth supporting! P.S. 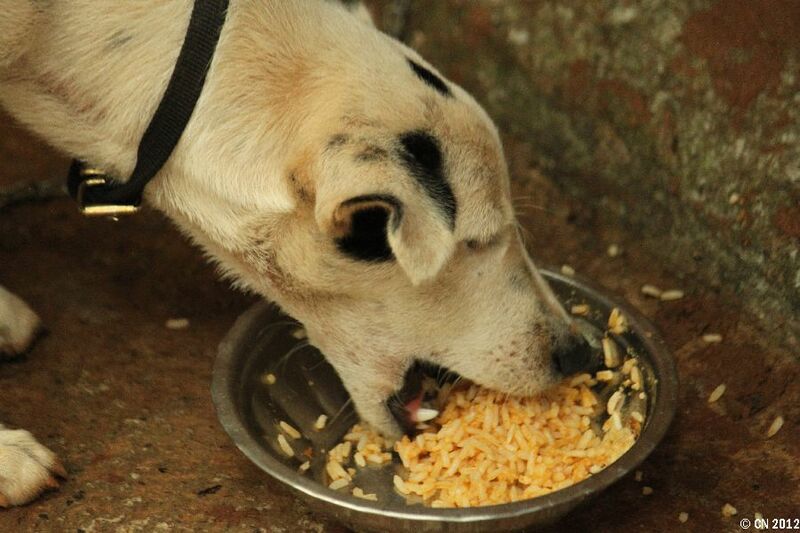 The term pariah dog refers to Indian semi-feral dogs of a particular type and is derived from the Tamil word “paraiyar”, used to refer to the lowest level of the traditional Indian caste system. Indian pariah dogs are typically medium-sized and have yellow to rust-colored coats. 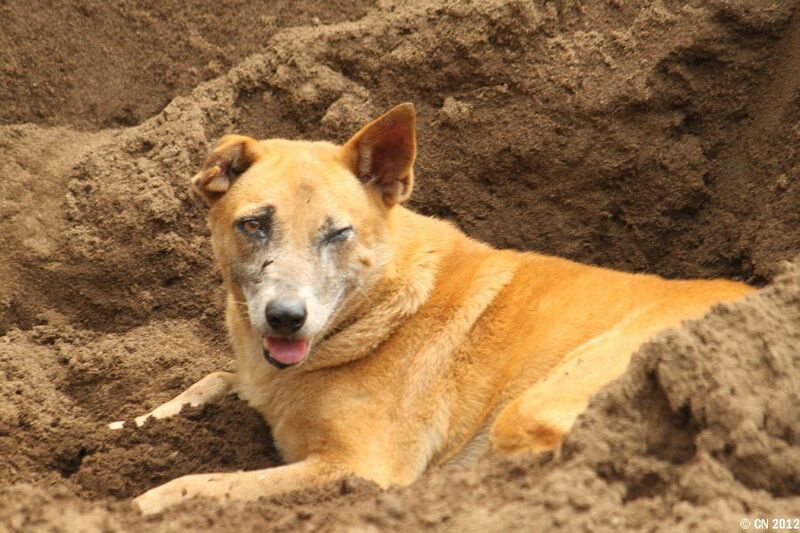 They are a „primitive“ breed of early origin and as such quite similar to our beloved Podencos.